WASHINGTON -- President Donald Trump reiterated Thursday that military action is "certainly" an option against North Korea, as his administration tentatively concurred with the pariah nation's claim to have tested a hydrogen bomb. A senior administration official said the U.S. was still assessing last weekend's underground explosion but so far noted nothing inconsistent with Pyongyang's claim. If confirmed, that would mark a major advance in its demonstrated ability to build high-yield nuclear weapons. Hydrogen bombs have the potential to be far stronger than simpler fission bombs like those used on the Japanese cities of Hiroshima and Nagasaki by the United States at the end of World War II. The nuclear test, North Korea's sixth since 2006, came on the heels of its groundbreaking launch of intercontinental ballistic missiles in July that pushed it closer to proving an ability to achieve a long-cherished goal: to have a nuclear-tipped missile that could strike America. "Military action would certainly be an option," Trump told a White House news conference when he was asked about the possibility after meeting the leader of Kuwait. "I would prefer not going the route of the military, but it's something certainly that could happen." What is Kim Jong Un's goal? Pressed on whether he could accept a scenario in which the isolated nation had nukes but was "contained and deterred," Trump demurred. "I don't put my negotiations on the table, unlike past administrations. I don't talk about them. 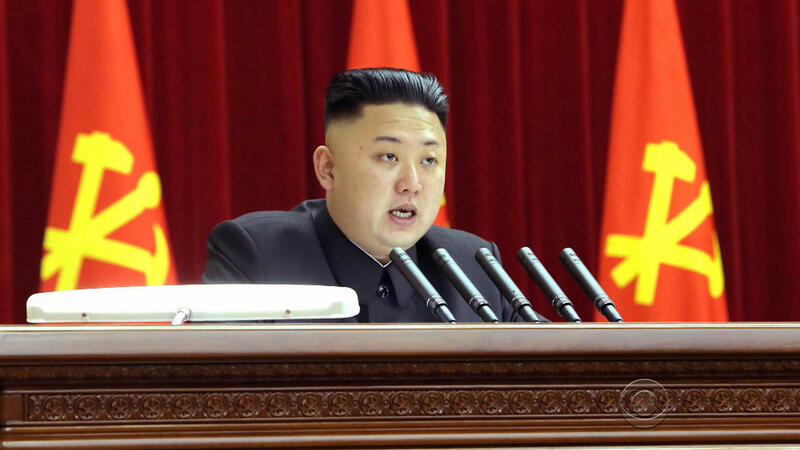 But I can tell you North Korea is behaving badly and it's got to stop," he said. The long-standing objective of the U.S. and its allies, as well as China and Russia, has been to seek the denuclearization of the Korean Peninsula although the chances of realizing that goal have diminished as the North has advanced its nuclear program. Pyongyang likely views its arsenal as a guarantee against its overthrow. The administration official played down the significance of Trump not ruling out the possibility of a nuclear North Korea, saying it runs counter to his past views on the issue. The official said the comments reflected the president's desire to keep his cards close to his chest on issues of national security. The official, who was briefing reporters on condition of anonymity under ground rules set by the administration, said the United States remains focused on building international pressure on North Korea rather than seeking talks. The United States is currently urging new and tougher U.N. sanctions, including a ban on all oil and natural gas exports to North Korea, in response to the nuclear test. U.S. officials say such restrictions could have a major impact on North Korea's military and industrial economy as it lacks its own oil resources. However, the main provider of the North's oil, China, is likely to oppose such a restriction in the U.N. Security Council, where it wields a veto as it fears a regime collapse on its border.